At C&S Supply in Mankato has a wide selection of Nuts and Bolts, both in bulk and individually priced. We carry standard, metric, stainless, course, fine, grade 2, 5, and 8. Along with a huge selection of specialty fasteners, nails, screws, and rivets from HILLMAN. 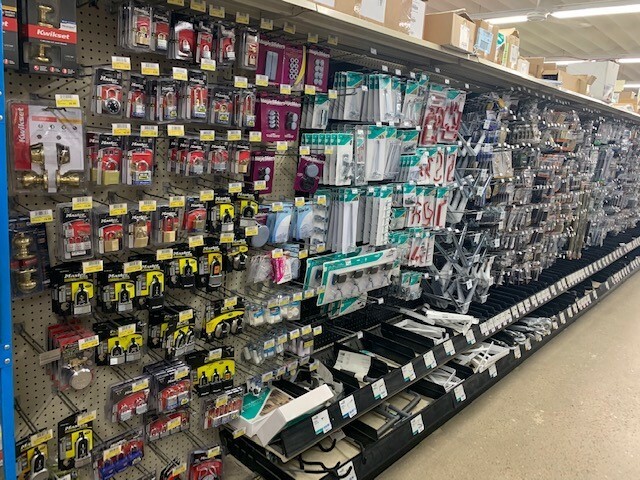 C&S Supply also carries a full selection of National Hardware, from Eye Bolts to Hinges to Threaded Rod and Angle Iron. We have wide range of Master Lock Padlocks. We can even key them alike so you can use your old key on new padlocks! C&S Supply is your home for your basic hardware and fastener needs.